Yes, we spotted this down in George last year and spent some time wondering about it. 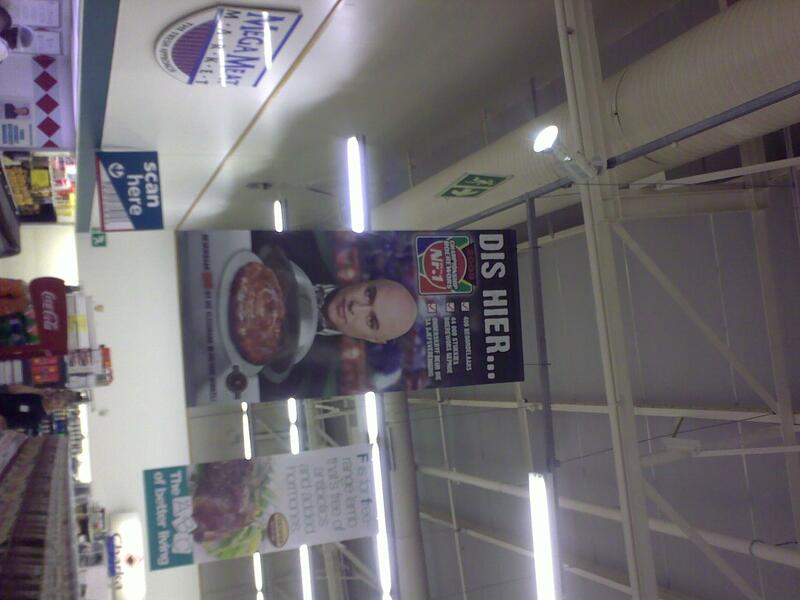 Not sure I’d be that keen to eat Nataniel’s boerie. We now know what was concealed under that Chrome-dome. What could Nataniel be hiding under his? More boerie?